The Truth About Vaccines (TTAV): September 2018 – Episode 2: What’s in a Vaccine? Are Vaccines Effective? … and … What About Polio? The Truth About Vaccines is an in-depth 7-part video series featuring over 60 vaccine experts who give us the insights we need to truly understand vaccine safety & efficacy, natural immunity, ongoing CDC cover-up, informed consent and the effective nontoxic alternatives to vaccination. 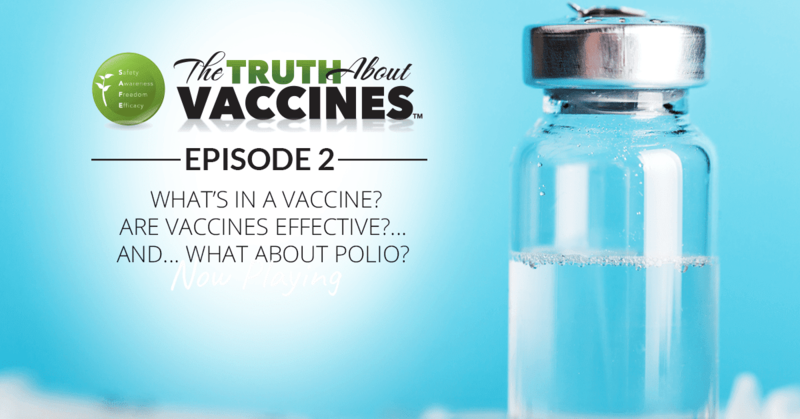 Episode 2: What’s in a Vaccine? Are Vaccines Effective? … and … What About Polio? What’s in a vaccine? Are vaccines effective? … and… what about polio? Sign-up to watch The Truth About Vaccines for free now! Are you familiar with the ingredients (PDF) used in today’s vaccines? Tune in for more on this topic as we take a closer look at the safety of vaccines. Despite all our medical advancements… despite all the money and all the research and all the science, incidents of chronic illness and disease are rising every year. Asthma, childhood diabetes, food allergies, digestive disorders, developmental delays, ADHD, autism, eczema, epilepsy, Alzheimers, brain damage, etc… all of these rates are rising. Simultaneously, the government-required vaccine schedule for children has increased from 5 doses in 1960 to 24 doses in 1983 to 69 doses in 2016. In fact, the U.S. now gives 3X more childhood vaccines than most developed countries, yet we have some of the highest rates of childhood issues NOT seen in other countries. And so we have questions. Are vaccines to blame? What are the risks we’re not being told about? Where are the safety studies on the combined doses of all these vaccines? What are our alternatives to stay healthy and prevent disease? The Truth About Vaccines is a documentary series that’s bringing education and empowerment for folks to this heated debate. Over 60 renowned health experts, researchers, and activists have contributed to make this the largest documentary of its kind ever released on the topic of vaccines. This is the most comprehensive, in-depth series ever produced on the topic of vaccines. You can watch each episode for FREE, starting September 12th. Each episode will be up for 24 hours, and we’ll be showing all seven episodes in seven days. Dr. Paul Thomas, MD says: “And this is the ongoing crime when it comes to Thimerosal. It makes absolutely no sense to me why they chose to leave it in the multi-dose flu shot. So that’s the major source of Thimerosal today. The multi-dose flu shot still has 25 micrograms of Thimerosal. That’s a huge dose, especially if given to an infant or—I’m horrified that we’re doing vaccines to pregnant women. No testing, there is absolutely no testing. You just read the package insert from the vaccine manufacturer. It says “never tested in pregnancy,” all right, and yet, our CDC has recommended over the past few years, they’ve added the flu shot for pregnancy. And in fact, some moms are getting two flu shots because their pregnancy spans two seasons. And then, just the last couple of years, they’ve really made a huge push to add the TDaP, the tetanus, diphtheria, and pertussis. That’s another whole story, but the problem with that one is a huge dose of aluminum, injecting it so you’re kind of like mainlining a toxin to a developing brain. No testing. You can go to the CDC website and go to Vaccines and Pregnancy, and you can look at the articles that they list as justification for doing those and I’ve looked at them. 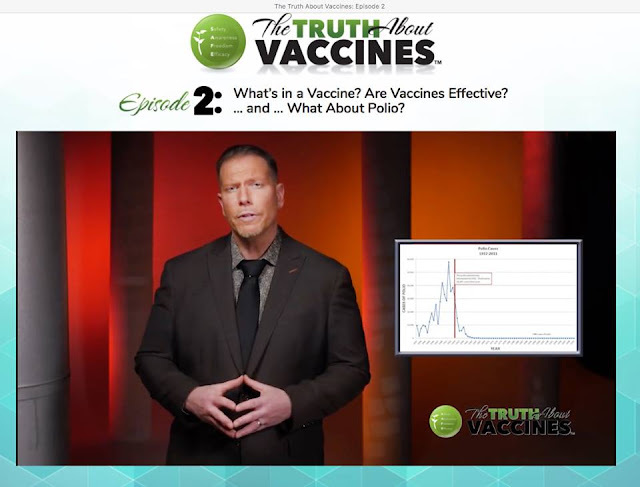 If you want to watch the other episodes for FREE too, please follow this link to sign-up today: [http://go.thetruthaboutvaccines.online/?a_aid=kissykiss80&a_bid=56a7009b] or consider owning the DVDs. So, you are vaccine free. Awesome! Wouldn’t it be great to have a factual, educated response? Well, now you can!